Since there is no photojournalism program at University of Arizona, Yoohyun Jung, now 24, had to rely on her initiative and pick up where her photography class left off. By the time she graduated this month, she had become a self-­taught photographer by taking photographs of anything she saw in the street and enrolling in online seminars. 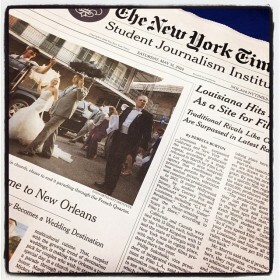 Ms. Jung is now focused on covering social issues such as immigration. 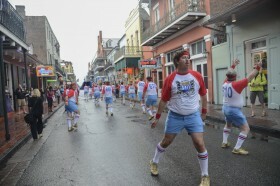 The 610 Stompers, a diverse group of men between the ages of 20 and 70, dance in sync along the streets of the French Quarter in New Orleans behind the Warren Easton Charter High School Charter Band. 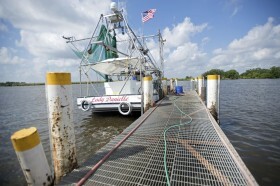 Julius Moll, a seasoned shrimper, went out to sea with high hopes but low expectations. 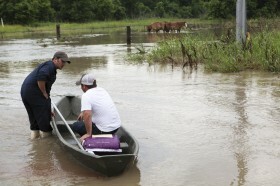 Shrimp supply in the first quarter of this year has been exceptionally low. Derik Brazzell, 32, and Jack Parsons, 60, at right, perform on Frenchmen Street. 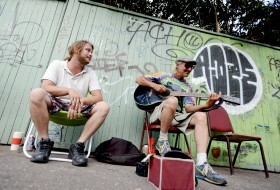 The duo has been singing on the streets of New Orleans for three years. The Big Easy Rollergirls is a women’s flat track roller derby league in New Orleans. Skaters of different backgrounds gather to break a sweat and release their inner beast. 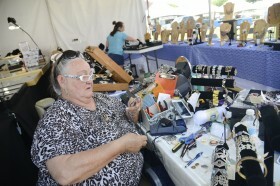 Families come together to promote Hellenic culture at the 41st Greek Festival in New Orleans.